A potential developer is being sought to deliver a £15.5 million regeneration project in Elgin. 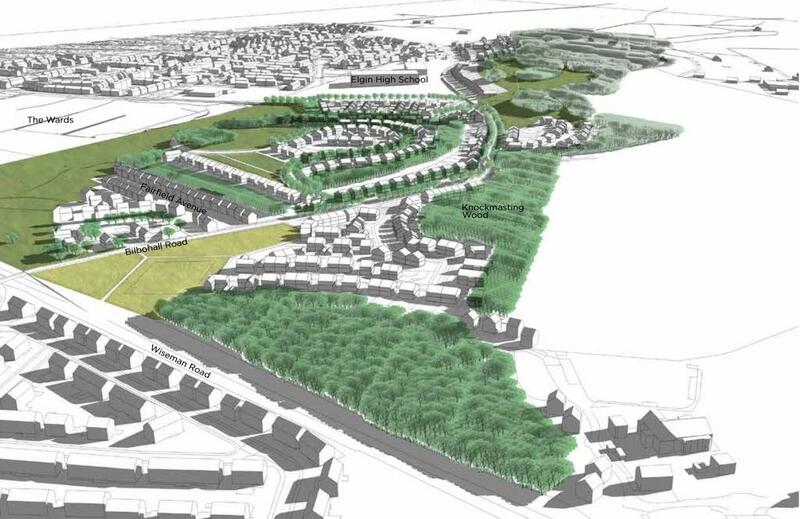 The Bilbohall masterplan, which was approved by Moray Council in November, outlines plans for 382 new homes for the south of the town, taking shape near the newly-built Elgin High School. Now the local authority has published two prior information notices to gauge market interest in the project. One of the contracts is worth £15.5m and covers the provision of the infrastructure required for up to 250 houses, along with the construction of a new primary road. The infrastructure will also include improvements to a road bridge over Aberdeen-Inverness rail line and a pedestrian and cycle bridge, drainage, parks and landscaping. It also covers the design and construction of a first phase of up to 100 affordable homes and the design of phase two, which would have up to 150 affordable homes. Plans for the 20-acre site have been in the pipeline for more than a decade and will transform the former hospital there, while also installing footpaths to link the site to Elgin High School. It is part of the council’s attempts to shorten the housing waiting list, which currently has about 3,000 people on it. It is hoped that the homes will be built at Bilbohall over six years, with the first expected to be completed in 2020. Chairman of the planning and regulatory service committee, David Bremner, said: “Following the approval of the masterplan for Bilbohall, we’re now in a position to advertise this notice to gauge market interest in designing and building part of this development.